Another long layover on our way home meant another journey through a new city for the day. 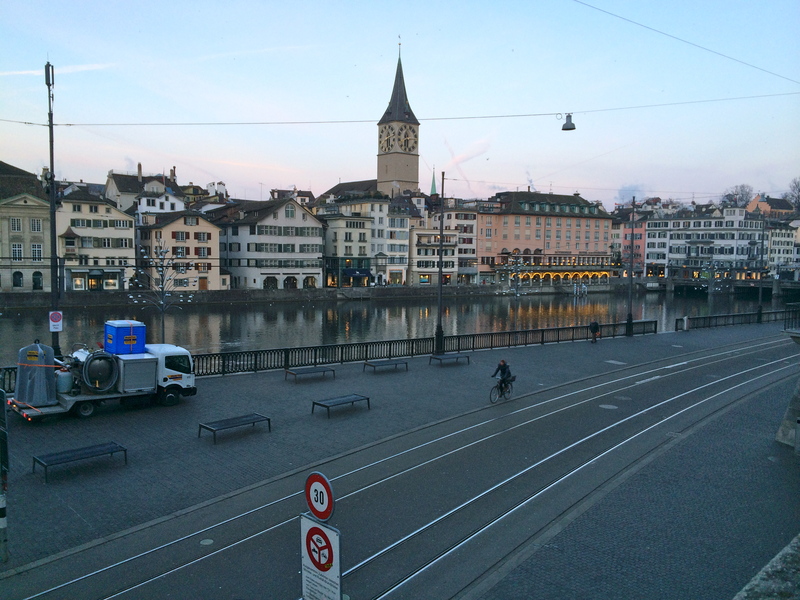 When we arrived in Zurich, it was still dark outside. We decided to head to Starbucks first to have a small breakfast before the sun rose. 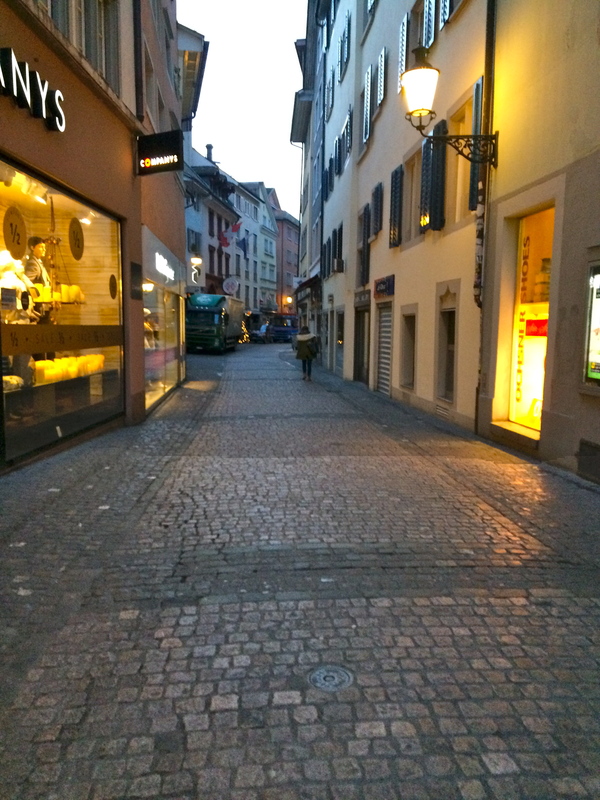 Afterwards, we walked down Niederdorfstrasse to see the different shops, even though they were still mostly all closed. We continued walking and eventually crossed down to the river to see a beautiful view. 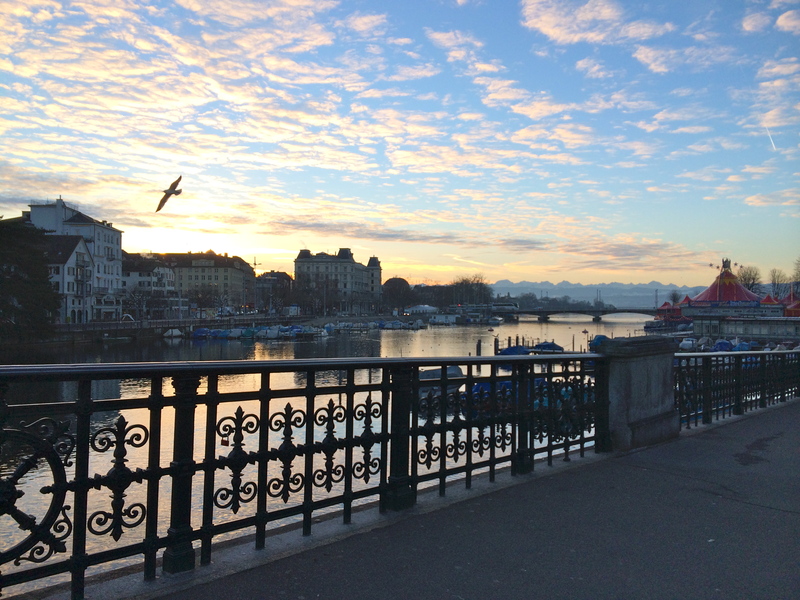 We walked over the bridge and simply took in the breathtaking scenery around us. On the other side of the bridge we found a nice spot where we could sit for a bit and take in the view. The city was gorgeous so far, but little did we know we had not even seen the best part yet. The sun was just coming up over the horizon, so we decided to walk towards where the river meets the lake to get a better view of the sunrise. And a better view we sure got. 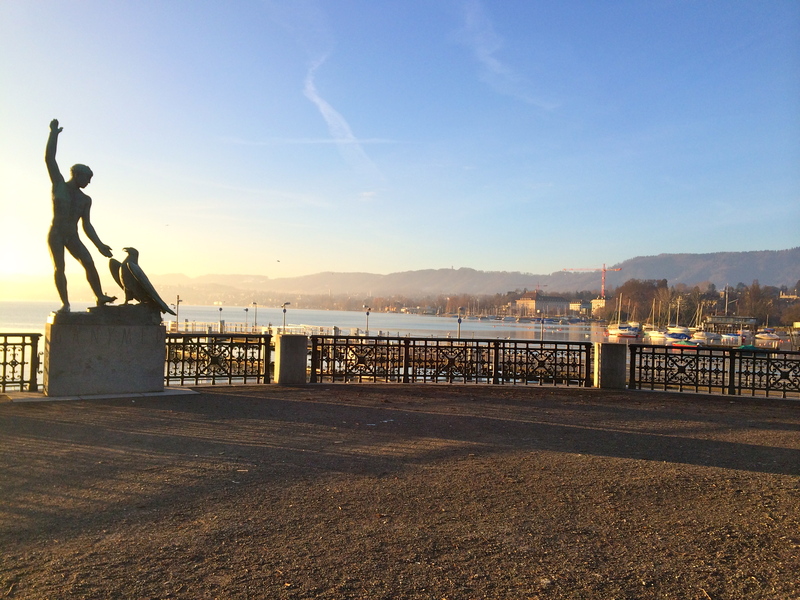 We stood next to the bridge looking out over Lake Zurich and watched the spectacular view of the sunrise over the buildings of Zurich with the mountains just visible in the distance. 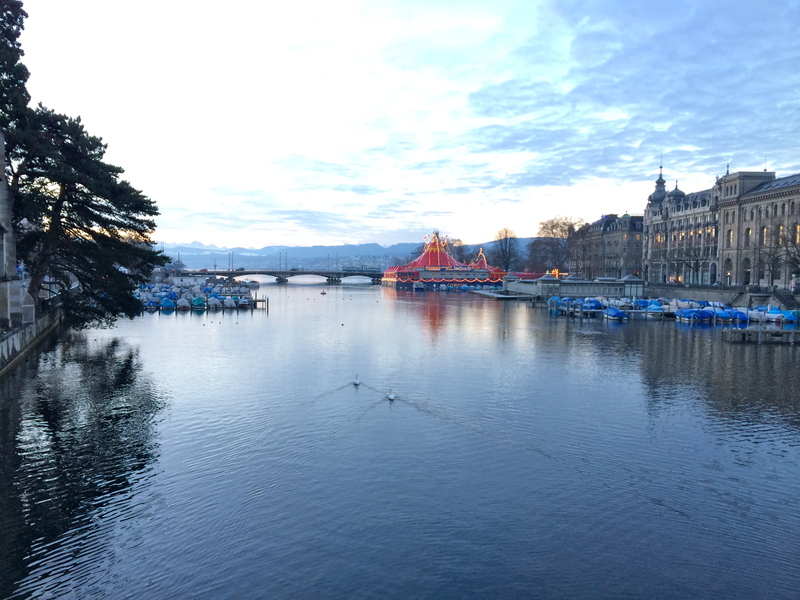 After watching the sun rise, we walked up Bahnhofstrasse, Zurich’s famous shopping mile. 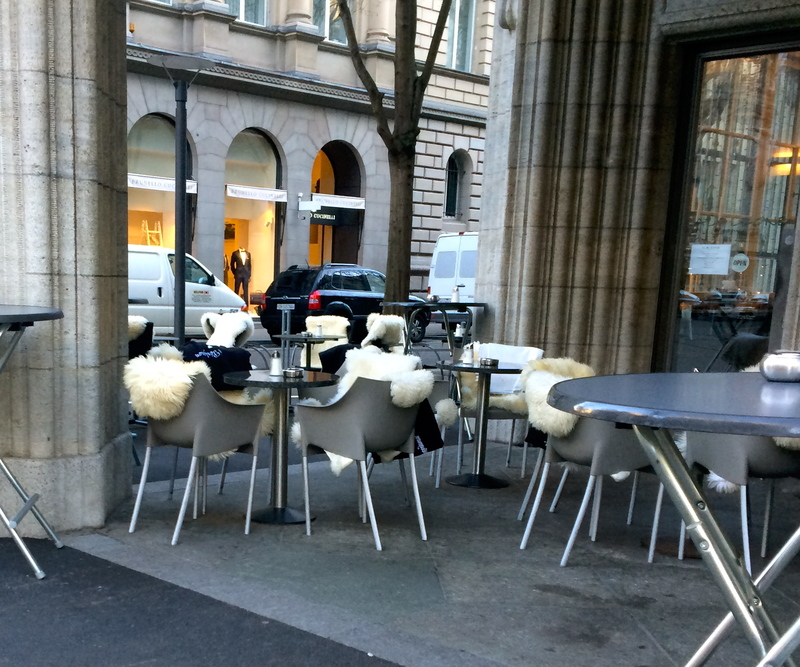 I thought it was pretty comical to see many of the cafes and resturants that have blankets on the chairs outside so people can sit outside and eat when the temperature is just above freezing. 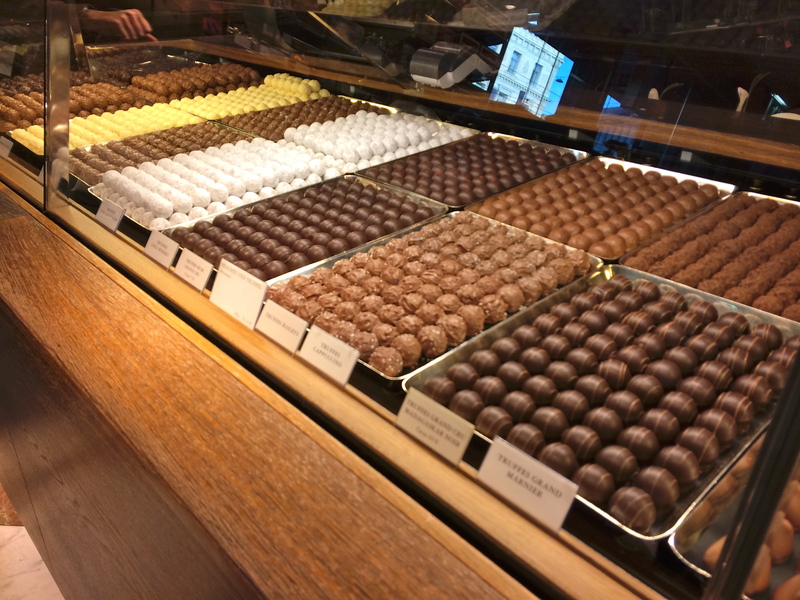 Of course, we had to stop in Confiserie Sprüngli because we could not leave without having some Swiss chocolate. 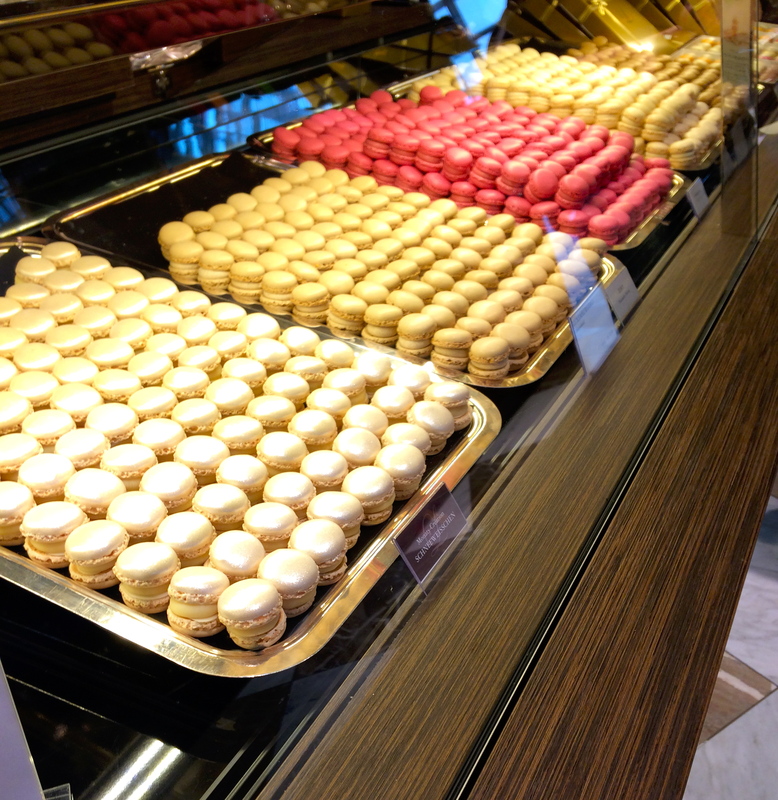 Confiserie Sprüngli was founded in 1836 and they are known for their signature macaroons, called Luxemburgerli. Now that we had our chocolate fix, it was time to head back to the airport and continue our journey home to Chicago. And this is how I spent my last morning of 2013- I don’t think I could have imagined a better ending to an amazing year. That is great! It’s always a nice treat to explore a new city on the way to or from your final destination. A shame that you couldn’t get pictures though!